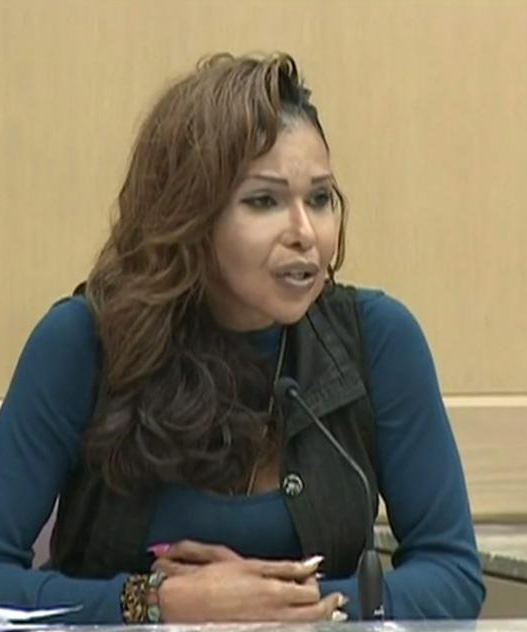 A Miami-area transgender woman who allegedly injected women’s behinds with substances including tire sealant and cement has been sentenced for killing a patient. Oneal Morris, who has become known as the “toxic tush doctor,” received 10 years in prison on Monday after pleading no contest to manslaughter and practicing medicine without a license. Morris, 36, was previously sentenced to a year in prison under 2013 charges in Miami-Dade County, though Monday’s sentence in neighboring Broward County was much stricter. The new case involves one of the fake doctor’s victims named Shatarka Nuby, a 31-year-old who received injections from Morris to make her behind bigger starting in 2007. Nuby died in prison in 2012, and a medical examiner said that it stemmed from a “massive systemic silicone migration” from injections into her buttocks and hips. The victim’s aunt told police that she was there on multiple occasions when the fake medical professional injected her niece, and that she told her the silicone was from Home Depot. Morris, who allegedly injected tire sealant Fix-a-Flat and cement into women’s bottoms along with silicone, allegedly sealed the injections with super glue. She said in court Monday that she would never use an unknown substance, including the sealant or cement, to inject someone, and added that Nuby was her friend, according to WSVN. Morris gained widespread attention after her original arrest for the salacious allegations as well as her own artificially enlarged backside, and said she decided on a plea agreement because she did not believe she could get a fair trial. She was ordered to serve her sentence in a men’s prison rather than a women's.